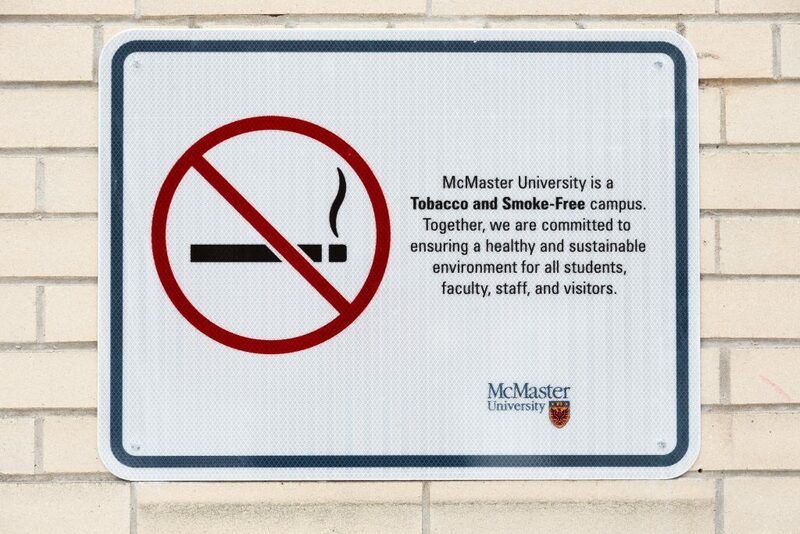 Last January, McMaster University’s president Patrick Deane took a stand and banned all forms of smoking on school grounds, making McMaster Ontario’s first 100 per cent tobacco and smoke free campus. This included banning the on-campus use of cigarettes, cigars, hookah, pot and most importantly, the ever-popular vape pens. 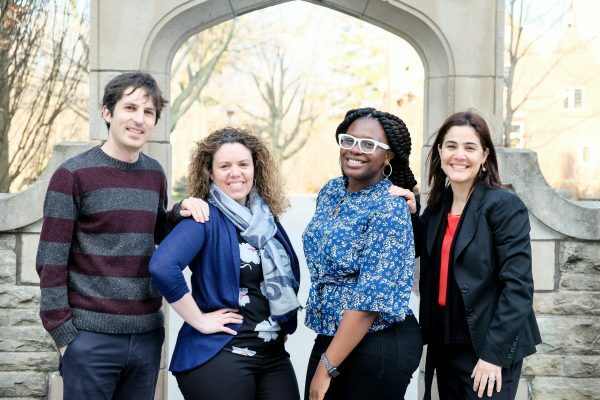 The ban on campus was a welcome sight for those opposed to tobacco, however, the ineffectiveness of enforcing this policy rendered the ban as a bland suggestion rather than a legitimate rule. You can witness this phenomenon simply by walking around campus. You won’t make it far before encountering students vaping in direct violation of the McMaster ‘ban’, with their discretion being non-existent. Students can be found vaping in classrooms, lecture halls, residences and around campus. Recently, there was an opening of the 180 Smoke Vape Shop in Westdale which will only further support and make accessible the habits of smokers. The store offers everything including e-cigarettes, vape juice, pens and portable vaporizers, and is located just a short walk from McMaster University. They are attracting not only smokers who may be trying to quit, but others who lack the proper information about the hazards associated with vaping, and may only be concerned with becoming part of the current trend. They are promoting this product as a commercialized, socially-acceptable activity rather than a helpful addiction quitting strategy for tobacco smokers. For McMaster students, it’s just a short stroll to a readily-available addiction which is now a booming industry. According to BBC News, the number of vapers has increased rapidly — from about seven million in 2011 to 35 million in 2016. The global vaping products market is now estimated to be worth up to $22.6 billion USD. The rapid growth of the industry is not a victimless development. New products need new users and stores like 180 Smoke Vape Shop will likely be getting their customer base from McMaster. Other than perpetuating the ‘look’ and fueling the industry, students are playing with fire and risking addiction. Although e-cigarettes do not contain any tar, carbon monoxide or other chemicals found in tobacco smoke, they still mimic the familiar action of a smoker and can be addictive. What used to be a method to quit is now becoming a method to start, and making smoking acceptable again. The smoking population who are slowly cutting back their nicotine addiction to quit smoking have made way for the young adults who are peer-pressured by the new “cool” thing to do and, in turn, are becoming dependent on the addictive drug. Harvard Health Publishing describes the side effects of vaping to include the potential of diabetes, loss of impulse control, impairment of brain development and elevated heart rate and blood pressure. Thus, the antidote is quickly becoming the poison. I am not advocating that McMaster shutdown 180 Smoke Vape Shop, or campaign to influence public policy. Rather, the university should enforce the very rule they promised in early 2018, in order to make McMaster a safer environment and community. Creating a ban was a novel idea, but not following is more than just lazy enforcement — it is potentially dangerous to student health. More and more youth will be exposed and persuaded to try vaping, which easily perpetuates an addiction whose lasting health implications are still being determined. Moreover, the campus itself is not an inviting space with smoke billowing from its hallways and paths. It’s time to inhale the future and start enforcing the smoking ban on campus.